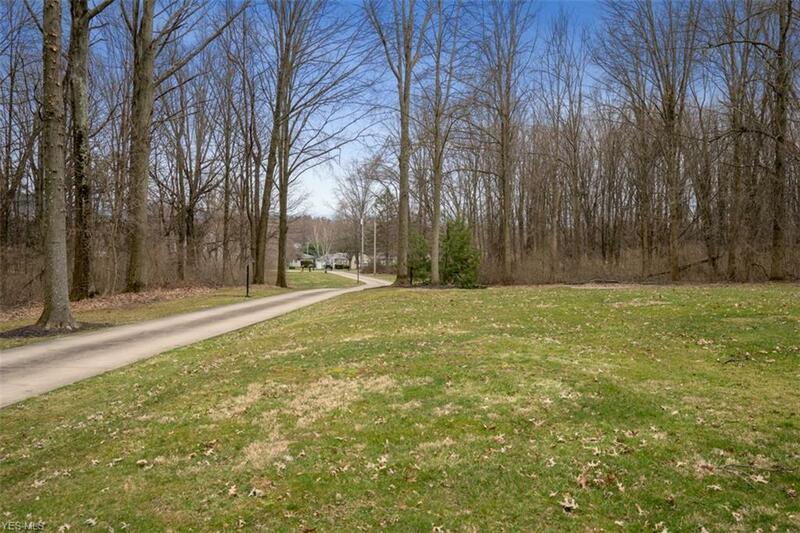 Do you ever drive down the road and catch a glimpse of a long winding driveway tucked deep within a private lot and wonder just what kind of a gem it may behold? This is one of those properties and the drive back will leave you in anticipation of which will not leave you disappointed. You will be greeted by this all brick stately colonial home nestled on a 22 acre private wooded lot with fabulous outdoor entertainment from the basketball court to the inground swimming pool to the gorgeous outdoor patio. Upon entering, you will be welcomed into a expansive foyer with floor to ceiling windows and elegant staircase. The main level of the home offers a formal living room, formal dining room, expansive eat-in kitchen with an abundance of solid oak cabinetry and center island with cooktop. Cozy family room with brick fireplace overlooks the private backyard. Awesome home office with tons of storage and workspace. Magnificent master suite with oversized soaker tub and separate shower. Generously sized bedrooms with ample closet space. Finished third floor can serve many purposes such as a bonus room, additional bedroom space, etc. Finished basement offers additional entertainment space, a workout room and game room. Additional updates and upgrades include newer furance and A/C units, new water softner and whole house surge protector. True pride in ownership can be seen throughout. This is a truly a must see home. Additional acreage available.